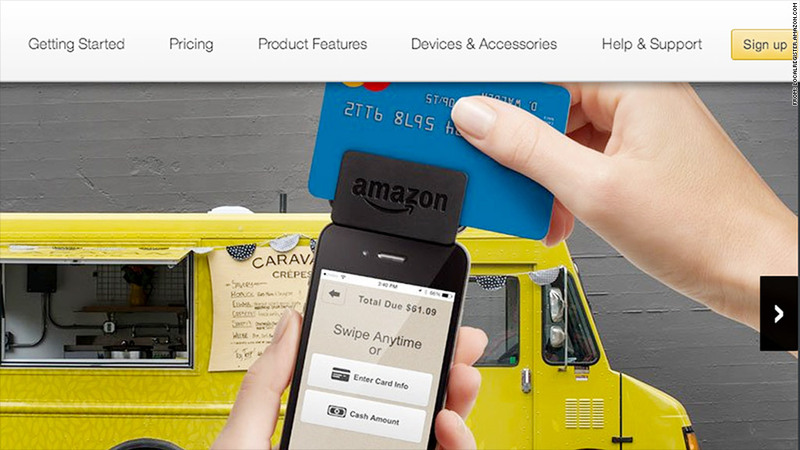 When you swipe your credit card at a local business, Amazon wants its cut. And its new product aims directly at Square, the company started by Twitter co-founder Jack Dorsey. Amazon (AMZN) Local Register will charge much less than Square: Just 1.75% of the value of each swipe for businesses that sign up by October. It will be 2.5% after that. Amazon also is basically giving away the hardware used by small businesses, saying that customers' first $10 in transaction fees will be credited back to them to cover cost of its new card reader. Square is the largest player in the mobile payments world, though others have also rushed to compete. Intuit (INTU) and eBay's (EBAY) PayPal have both launched services.